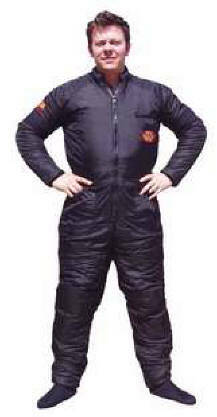 300gsm Fleece lined undersuit, quilted to a 62gsm nylon outer. A lightweight, flexible suit for use under neoprene drysuits or Trilaminate suits in warmer conditions. 100gsm Thinsulate with a 300gsm Thermo Fleece, quilted to a 124gsm nylon outer. 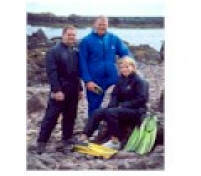 A cost effective suit ideal for trilaminate suits in most diving environments or under a neoprene suit in cold water conditions. 200gsm Thinsulate material with a 300gsm Thermo Fleece, quilted to a 124gsm nylon outer. A heavy duty extra warm suit for trilaminate suits in cold water conditions, or under neoprene for the most extreme cold environments. 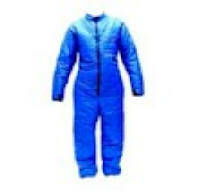 Our Arctic Commercial 200 Undersuit is ideal for under Membrane Drysuits for Cold Water Diving. The Arctic Commercial 200 Undersuit has an Outer Nylon with a Urethane Waterproof Layer, then 2 layers of Synthulate with a warm fleece inner. Undersuits are Graded on thickness and warmth, giving you the choice as to which one to include in to your Drysuit System. Our Arctic Extreme Undersuit is ideal for under Membrane Drysuits for Cold Water Diving. This Undersuit has been designed with the colder person in mind, this is the ultimate in warmth. All Undersuits are Graded on thickness and warmth, giving you the choice as to which one to include in to your Drysuit System. The Arctic Extreme Undersuit has a Breathable Outer Nylon Layer with multi-layers of Synthulate and then a Cosywick Fast-Wicking inner to ensure the wearer stays dry and warm at all times. The O1 is a jacket similar to the Hydrogen but lined with our TS1 and in Extreme weight. Can be part of a 2 piece set comprising of Sellopets and Jacket. Colours Black.